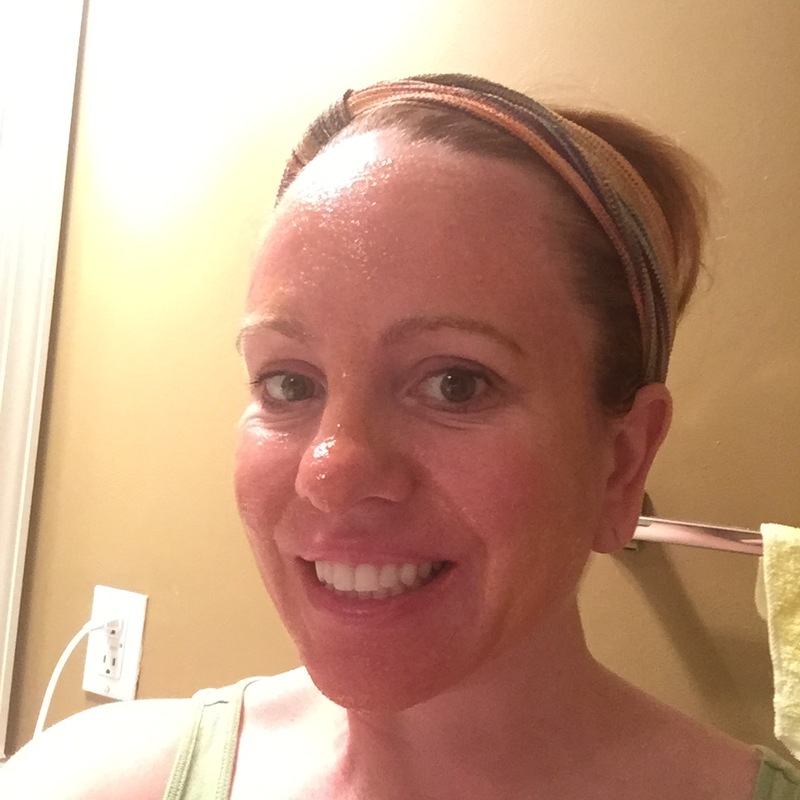 My Pinterest Life #4: Oil Pulling…WHAT? I must love you. Really, I must. Why else would I continue to use myself as a human guinea pig? Perhaps something’s off in my brain? Who knows. Either way, I’m actually enjoying trying all these gross things. Yesterday I didn’t think I’d get any Pinteresting done. I spent the day running errands and minding children. Oh, and going to yoga. But then I got the kids into bed and, since Bug is out-of-town, had time to experiment. 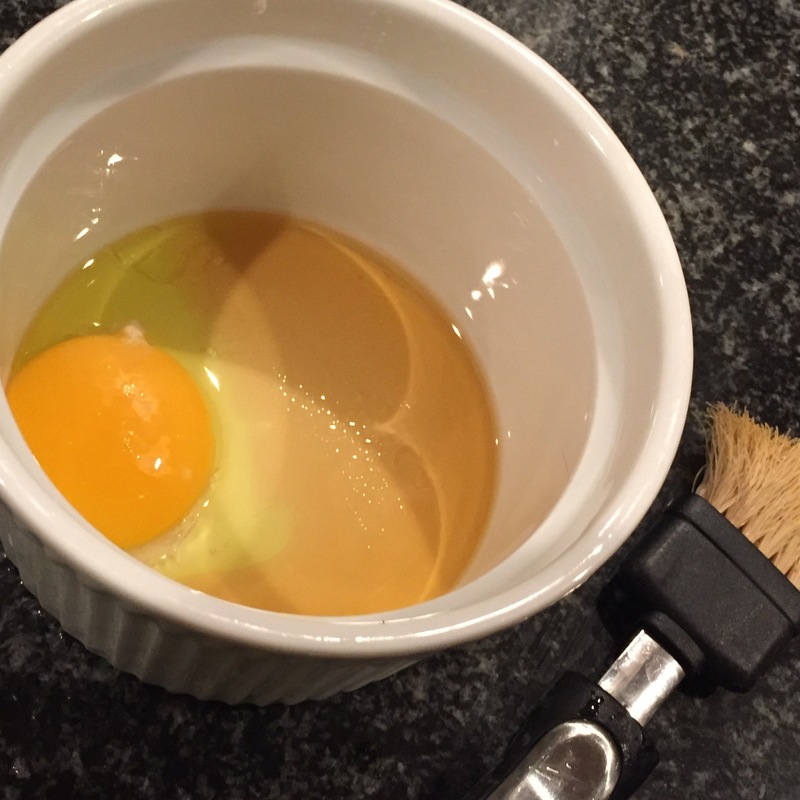 That’s egg yolk, olive oil, and honey – with a basting brush because how else do you put such a concoction on your face? At this point Pudge came down to the kitchen to check on me. “You’re weird.” And back upstairs he went. I beat everything together and took it into the bathroom. Despite the honey, it was a runny mess. The mixture dripped into my eyes and mouth. It was gross. I literally had egg on my face. I waited 30 minutes, and it still hadn’t dried, so I washed the mess off. My skin looked and felt the same. I judge this one a PINTEREST FAIL. Basically, you plop a glop of coconut oil in your mouth and swish it around for 20 minutes. Let me say this, I have zero gag reflex, ZERO, and this made me want to heave. I don’t know if it was the texture or what, but it was gross. Still, I stuck with it, swishing for 20 minutes. My tongue, jaw and cheeks got a workout and were tired by the end, and I couldn’t wait to spit that stuff out. The supposed benefits is that it brightens your teeth (mine are already very white naturally, so that didn’t appeal to me), gets rid of harmful bacteria, and improves over all health. I’m not sold, and I will never do that again. HUGE FAIL. Finally, I did something I used to love but have lost touch with: knitting. I had to go into the basement and heave my six boxes (Yes, I’m a yarn horder) off a high shelf (and spill the contents of one box everywhere), but it was fun. Like catching up with an old friend. I used to knit everything – including the Colonel’s baptism outfit. Hats, scarves, sweaters, booties, socks, stockings. I made it all. My shining, most lasting piece is the Colonel’s nigh-night blanket. That thing is on its last legs, but neither the Colonel nor me are ready to part with it. 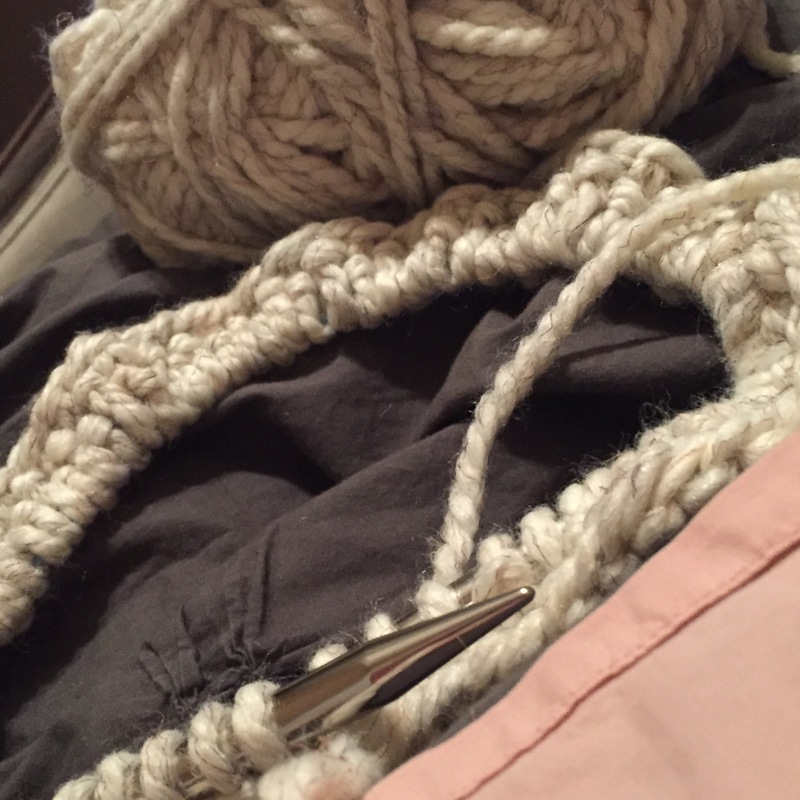 I decided to start with a simple project – a chunky seed stitch cowl. This one is similar in color, but with a different stitch. It’s too early to tell if this is a fail or not, but I’m enjoying it. It’s fun to hear something click-clack other than my computer. So today’s total: 2 Fails and 1 undecided. My Pinterest Life #5: A WIN! Love the scarf! I started knitting again last weekend too. I need practice before I will get to your level. I’ve heard of oil pulling before too – not too eager to try that one!